TOUR QUALITY FEEL IN A NIGHT GOLF BALL: Now you can play the best glow golf balls (glow in the dark night golf balls) in the industry. 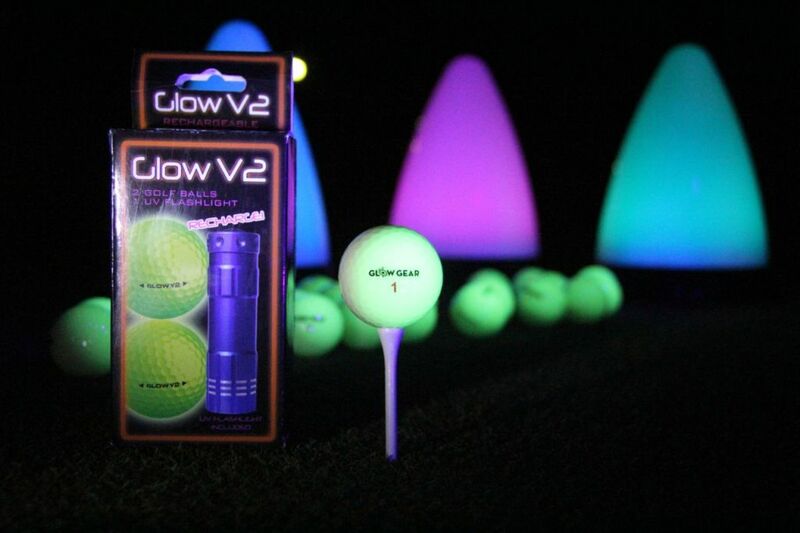 When you want a glow golf ball that won’t break your club or hit like a rock, the GlowV2 is unmatched. It out performs LED night golf balls and glow stick golf balls in distance off the tee, feel off the clubface and long life of it’s glow. 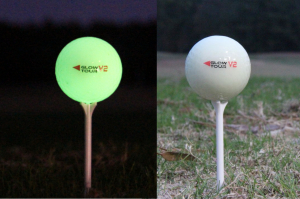 HOW THE GlowV2 WORKS: The GlowV2 glow golf ball uses photoluminescence in the skin to light up the ball. Just place it on the UV Glow Charger or UV flashlight for a few minutes and it will glow brightly for 8-10 minutes. Then have a slow after glow for hours. WHAT MAKES THE GlowV2 Glow Golf Ball SO REVOLUTIONARY is that it’s the first night golf ball with a true 90 compression COR rating. This means true bounce off your club face and no need to club up to compensate for the deadness of an LED night golf ball’s battery core. *Ships without retail packaging. AAA batteries not included with UV Flashlight.